I Heart Hamilton is about to hit the airwaves! 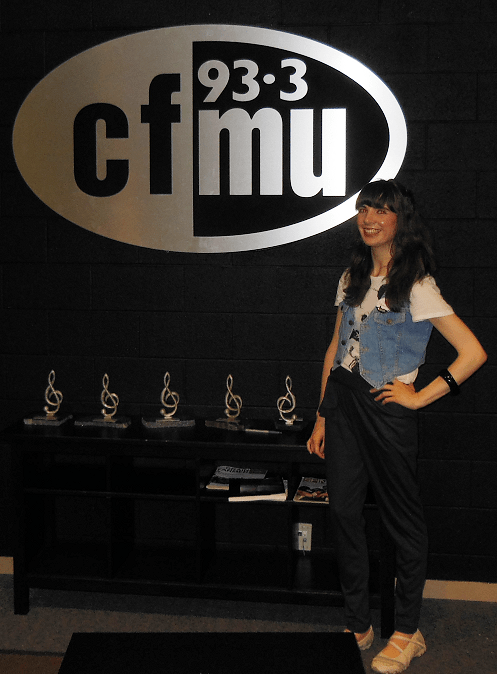 I’m so excited to announce that I Heart Hamilton will now be a show on 93.3 CFMU. My first show is next Friday, and the show will continue every Friday from 2-3PM. The show will be I Heart Hamilton in radio form – tons of music content, as well as showcasing many of the other categories I feature on the blog (food, shops, art, theatre, comedy, non-profits, events, and more). I’m honoured to be part of the CFMU team. During my time at McMaster, I used to peek into the CFMU windows and I always imagined what a cool gig that would be. From being interviewed on the station a few times, to now having my own show, it really means a lot. I hope to contribute some fun content to what is already a rad station! Please tune in to my first show! Joining me in studio will be Mark Furukawa (Dr. Disc) and Andy Inglis, the team behind Discography. I’ll also be talking about the upcoming Hamilton Music Awards and that night’s Art Crawl. Of course, I’ll be playing tons of local music and will kick off my inaugural show with some particular favourites of mine.